30cm Graduation Bear | Graduation Bears and Gifts at discount prices! This website can only quote postage costs based on actual weight, but delivery costs for bulk orders are worked out on cubic measurement. 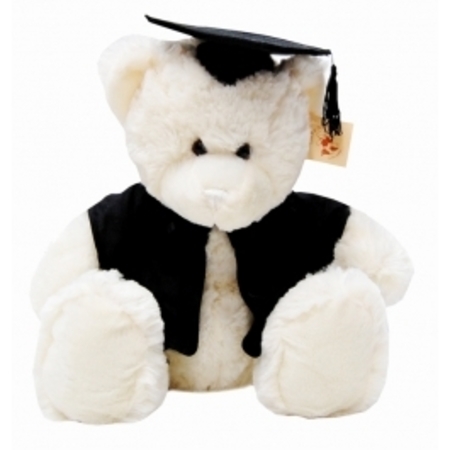 This means a purchase of 10 or more bears will need to be done by emailing vicki@graduationbearsandgifts.com.au stating which bear, quantity required, and your delivery address. We will then work out the delivery cost and let you know how much it will be before you confirm your order. If you would like to pay by Credit/Debit card please let us know when placing your order that this is your preference and you will be sent an invoice through PayPal. Please be advised that a 2.7% charge will be added to cover PayPal's costs for this. Payment is due upon receipt of invoice unless you have requested a specific time frame for payment.